The Ready, Set, Grow! program began in 1998 when Herbert W. Pettway, the retired director of the Chesapeake Department of Agriculture and coordinator for Virginia Cooperative Extension, decided to to take horticulture into the classroom. 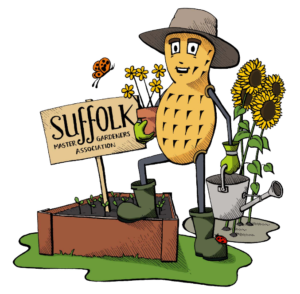 Master Gardeners travel to various Suffolk elementary schools to speak to each first grade class where the poem, Oh Say Can You Seed by Bonnie Worth, is read. The children are taught the meaning of the terms photosynthesis and germination, and are asked questions as the poem progresses about the various parts of a plant’s anatomy including seeds, fruits, roots, stems, leaves, and flowers. At the end of the presentation, students plant seeds provided by SMGA, and then take them back to their class to watch them grow. Plants need food, air water, light and a place to grow. Parts of a plant: seeds, roots, stems, leaves, blossom and fruit. Plants can be edible or non-edible, flowering or not and evergreen or deciduous. Students learn how temperature, light and precipitation bring about changes in plants. Would you like Ready, Set, Grow to come to your school? We would love to speak with you about including the program in your curriculum! Call 757.514.4331 for more information.